The birth control pills for females have been there for nearly half a century. Now, a male version could soon become a reality. Researchers at Washington University have developed an experimental birth control pill for men, which has been found to be safe and effective in early trials. 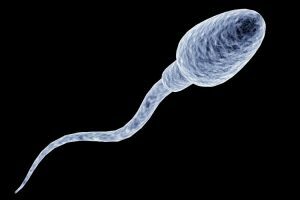 The study showed that a once-daily tablet that lowers sperm production seemed safe and effective in preventing pregnancy. The findings were based on the study conducted on 100 heathy men between 18 and 50 years old. The pill called dimethandrolone undecanoate or DMAU, is made up of two steroid hormones — testosterone and progestin — that are chemically modified to suppress sperm production. It’s for the first time researchers evaluated repeated doses of DMAU to make sure it’s safe and to identify proper dosage in future studies. “Many men say they would prefer a daily pill as a reversible contraceptive, rather than long-acting injections or topical gels, which are also in development,” he added. But given the many miserable side-effects for women of hormonal contraception – everything from lack of concentration to severe depression – the success of a male drug could not be outrightly predicted. Even women are moving towards a healthy solution for themselves. Elina Berglund,a former Cern physicist, created Natural Cycles app, which prevents or helps plan a pregnancy by having the user take their basal temperature each day and input the number into the app, which then predicts ovulation and fertile v infertile days.